Aavalar is hiring a consultant for a project with one of our clients in the Western Suburbs of Philadelphia. The projects involves the development of backend components that provide information to client facing websites. This is an interesting project because the client is integrating HubSpot into their workflow for email generation and marketing research. So… If you are interested in inbound marketing or better yet have experience with HubSpot, this could be a great consulting opportunity. Work environment: Very Nice Suburban Office Campus near Paoli PA.
Why is there a need for a consultant/contractor? 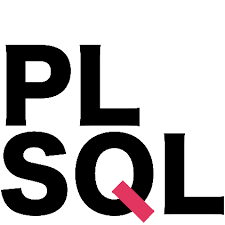 •	Client needs to staff senior level Oracle PLSQL developers, hopefully with Forms experience, for a new project that involves backend Application Development for their website. •	Analyze the existing system to capture business rules. •	Create a design and present it for review by senior members of technical staff. •	Develop and maintain the new generation of our client’s software platform in PL/SQL with very little technical direction. •	This is a high visibility, potentially long term project which will provide the opportunity to work with open source web development tools coupled with an enterprise level Oracle database. •	It is truly a nice place to work… smart, down-to-earth people who have reasonable expectations and delivery deadlines that actually make sense. In short it’s really well managed. Who is involved in the interview process? > Senior VP, and senior members of the technical staff.